The UK government recognises that mobile broadband is one of the technologies that can see us through to a fully connected society, says communications minister Ed Vaizey. “We absolutely recognise the importance of the mobile sector in general to growth in the UK economy,” he told the Huawei Global Mobile Broadband Forum 2013 in London. 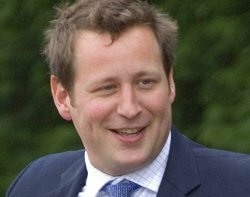 But Vaizey said the government also recognises that it has a key part to play in enabling growth by providing a good regulatory environment. “We have to be clear about our aims and when we will deliver them,” he said. Vaizey said those aims and timelines are set out in the UK’s digital communications infrastructure strategy and programmes for rural broadband, super-connected cities, and mobile infrastructure. "We have laid out what we are going to do to reach those goals and now we will work with the mobile sector to deliver them,” he said. Turning to Europe, Vaizey said developments in digital technology provide an opportunity to bring the EU closer together. “A fully functioning digital single market is our ambition – one that connects, informs and entertains – a harmonised digital single market that drives innovation and growth across the entire European Union,” he said. Vaizey said while the UK has welcomed many of the recommendations from the European Commission, the government feels that further strides can be made. In the October Vaizey proposed areas where the UK believes EU leaders should focus their attention. “These include an end to mobile phone roaming charges for consumers by 2016 at the latest, the acceleration of rolling out cutting-edge technologies such as 4G, the early adoption of measures to ensure a competitive market in online payment services, and the quick implementation of the Open Data Charter to improve transparency and ease the use of data by society and the economy,” he said. For the European Union to remain competitive, Vaizey said the single market has to keep up with developments in the digital economy – and for that to be achieved – disparity that currently exists across the European Union has to be addressed. “The European Commission and member states have to consider what we put forward if we are really going to be able to exploit the potential opportunities that could be achieved by having a fully integrated digital single market,” he said.